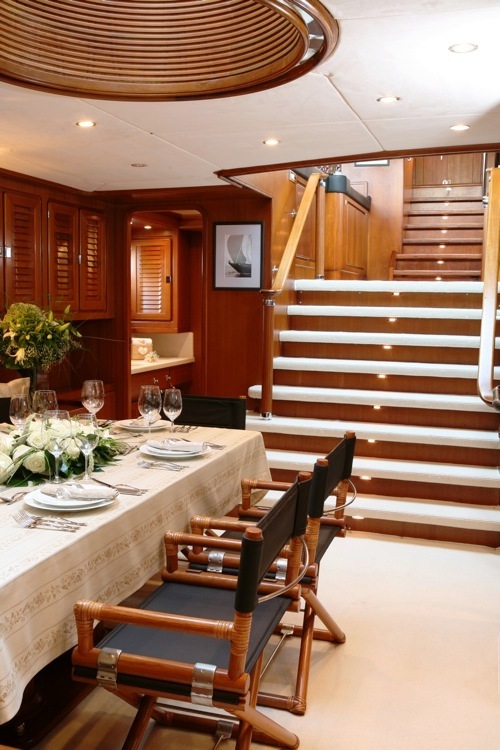 Luxury sailing yacht Gitana provides charter guests with a huge spacious and uncluttered all weather cockpit with full wet bar and grill. 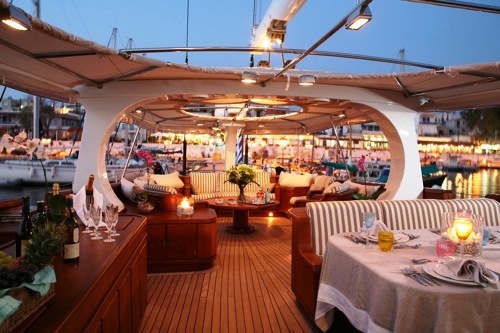 Gitana’s cockpit runs almost a third of the length of the yacht which creates an excellent entertainment area - whether you are dining, enjoying cocktails, or lounging & relaxing during day or night in Greece. 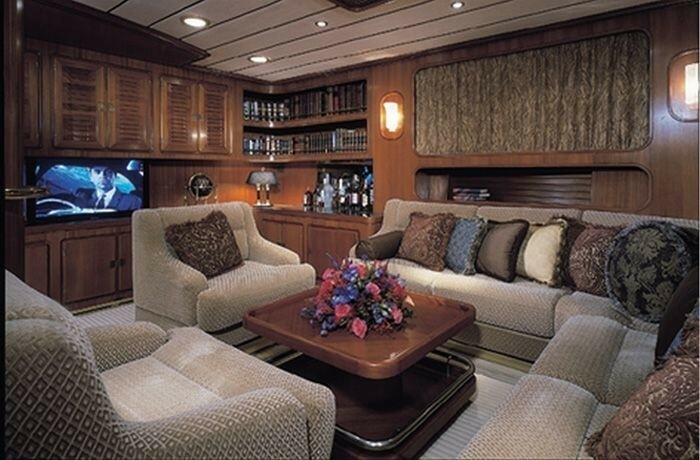 She also provides additional entertainment with a home theatre in her main saloon. 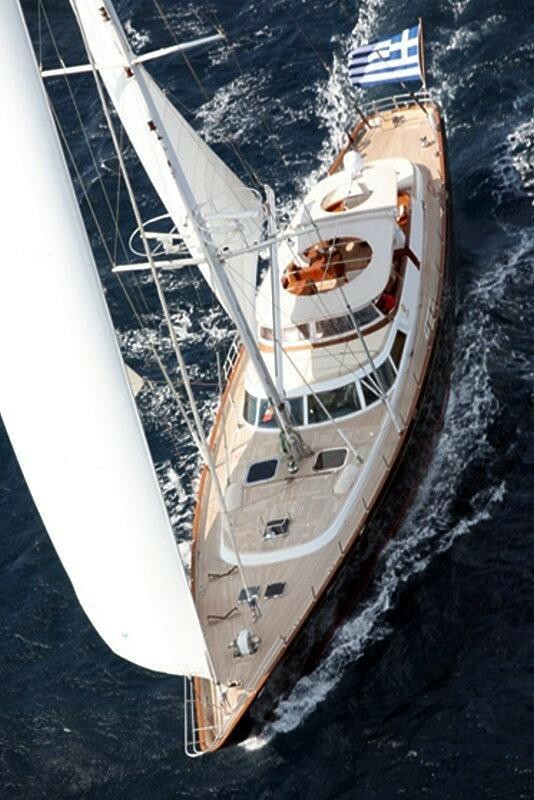 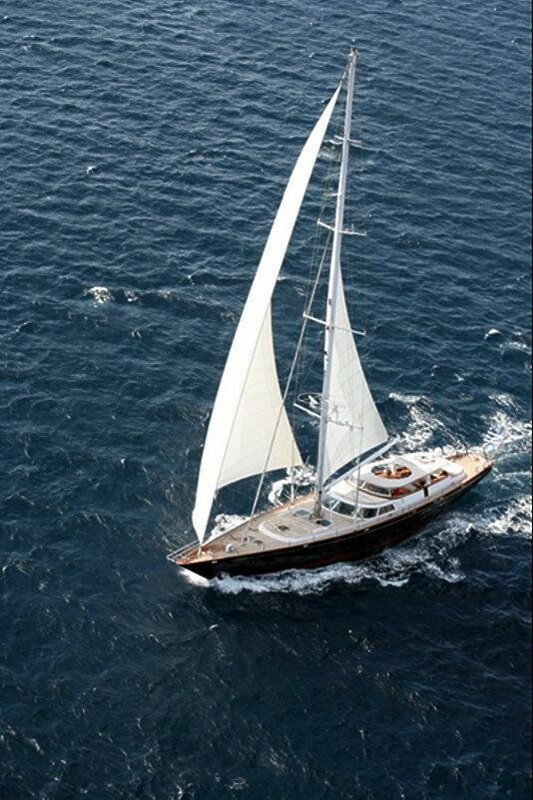 Sailing yacht GITANA is 36,00m (118' 1") in length and was built in 1989 by Perini Navi. 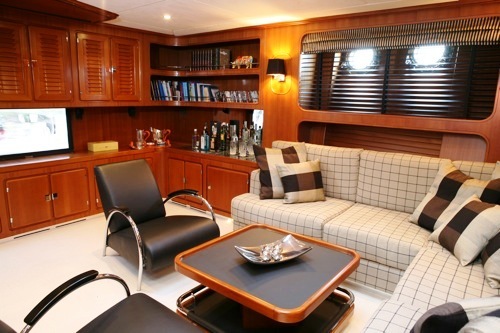 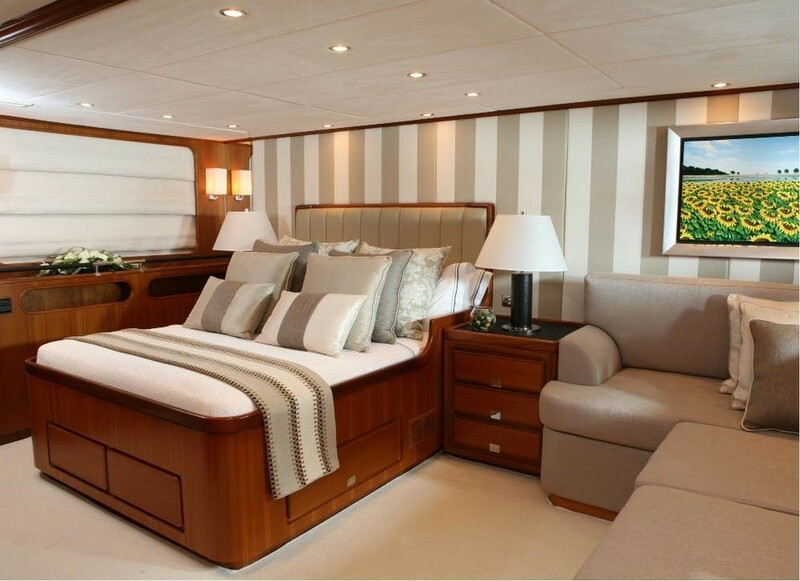 The yacht has been fully renovated in 2007 with all the new safety systems along with soft furnishings. 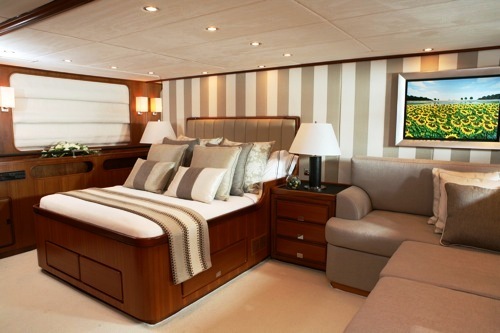 She features an elegant design and luxurious amenities. 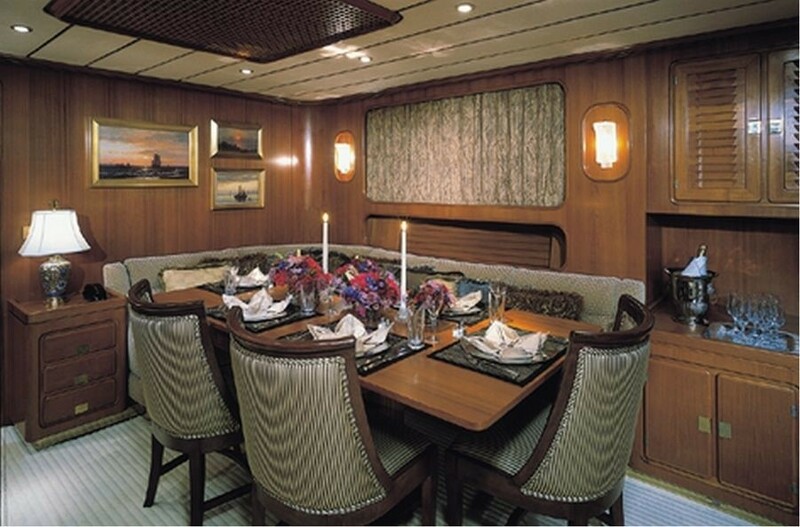 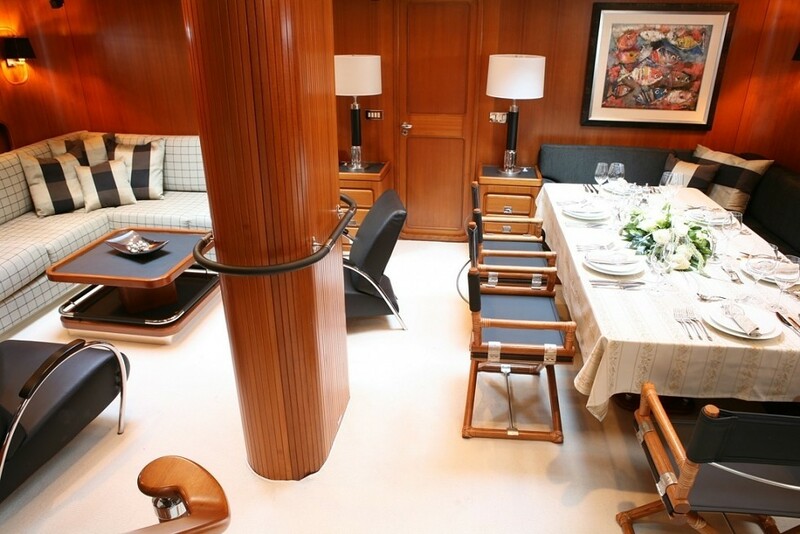 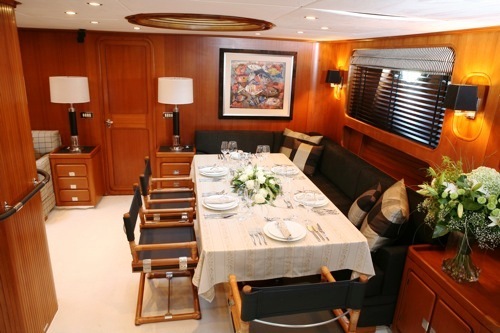 The Dining and salon seats are made from black leather and wood and the dominant soft furnishing colours throughout the yacht are neutral such as white sugar, gray and brown. 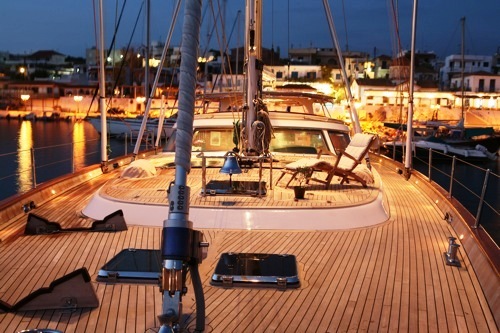 Greece sailing charter yacht GITANA can accommodate up to 9 guests in a Master a VIP and a double cabin. 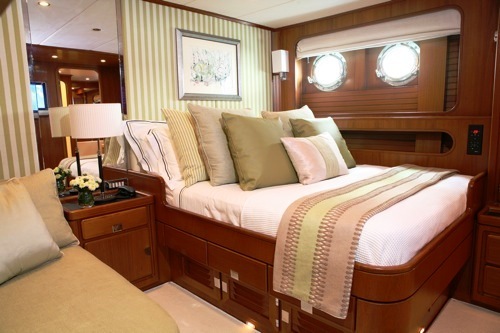 Each of the staterooms has its own en suite with a shower and a LCD TV/DVD/Stereo system. 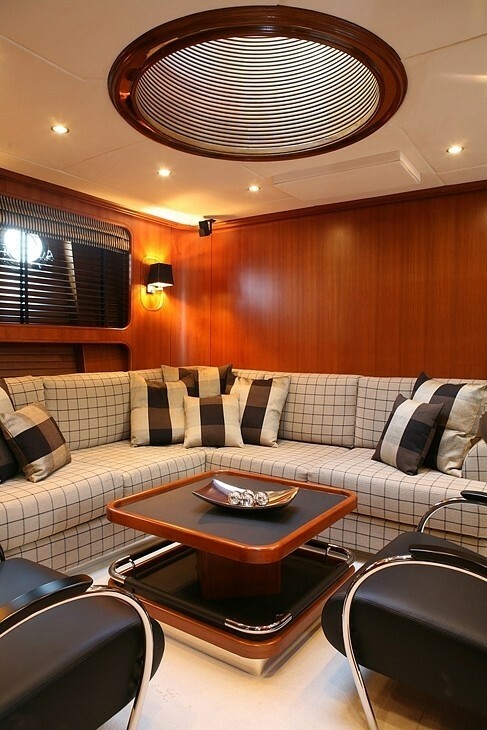 The VIP cabin has an X-Box. 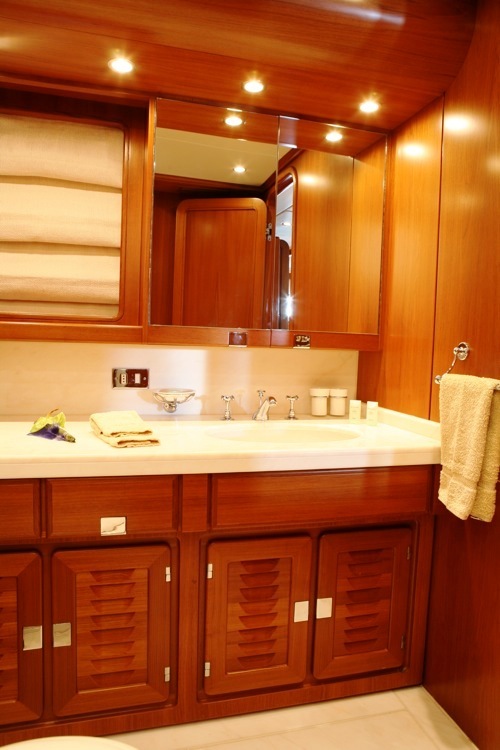 The cabins have Air-Conditioning with individual remote control and there are 3 safe boxes. 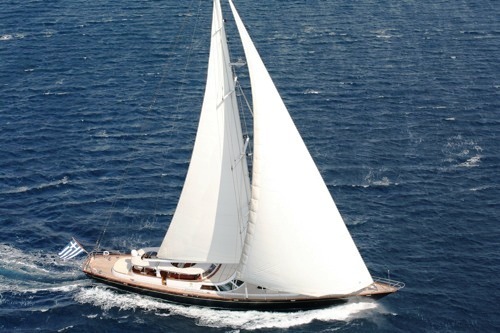 Sailing yacht GITANA has a great set of water sport toys to enjoy in the stunning waters of the East Med. 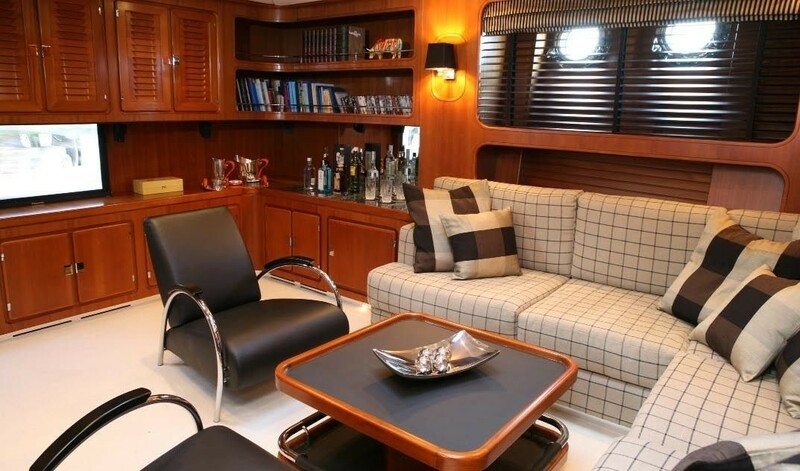 Toys include a 4.6m inboard Castoldi jet tender with, a set of water skis, various towable toys like a banana and tube, scuba gear, snorkelling equipment and fishing equipment. 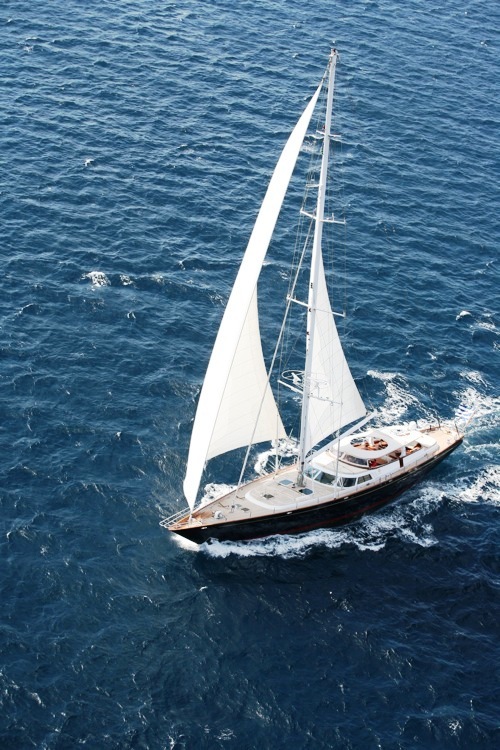 S/Y GITANA has a professional crew of 6 ready to welcome you on board. 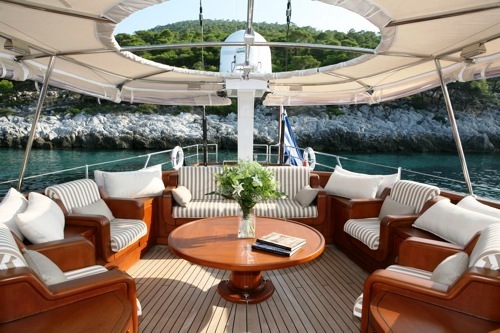 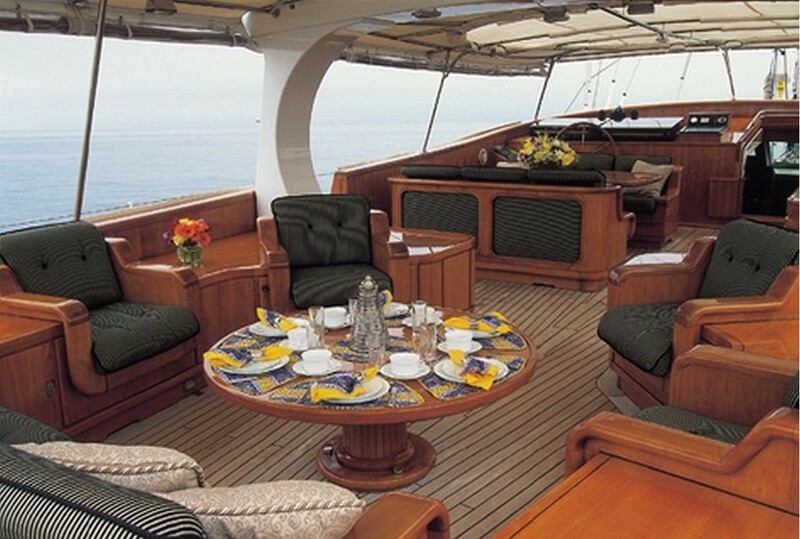 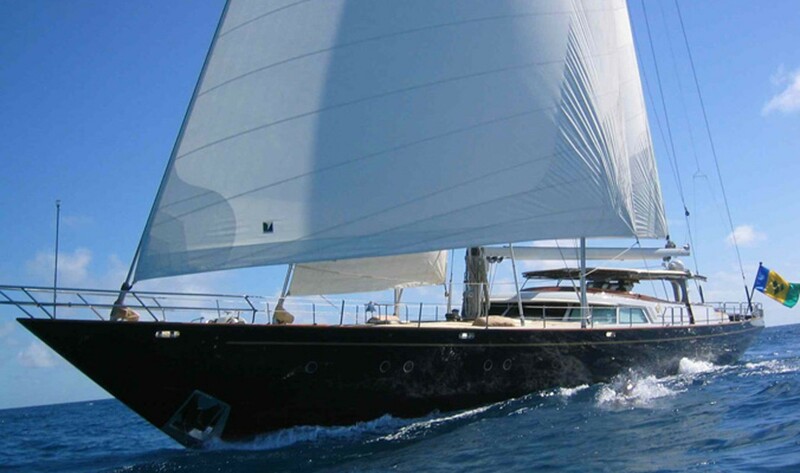 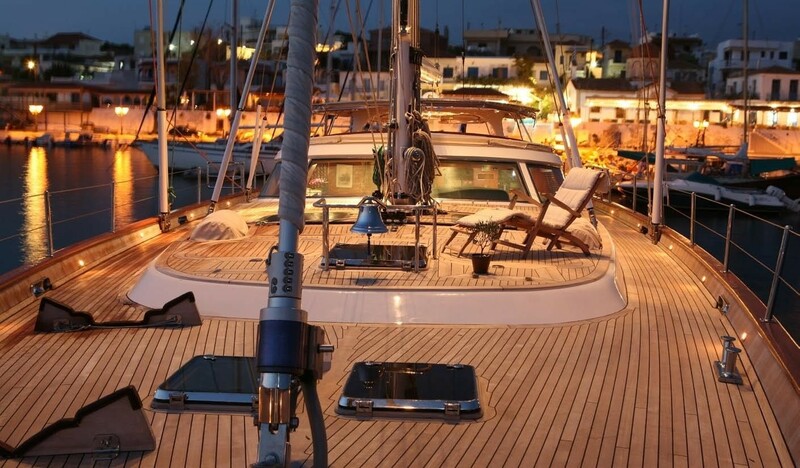 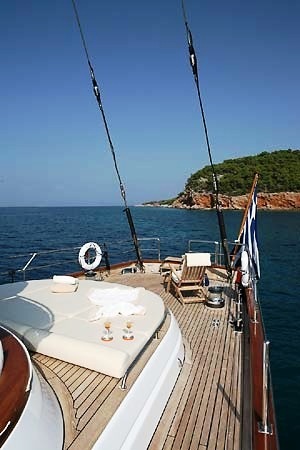 Greece sailing charter yacht Gitana can accommodate up to 9 guests. 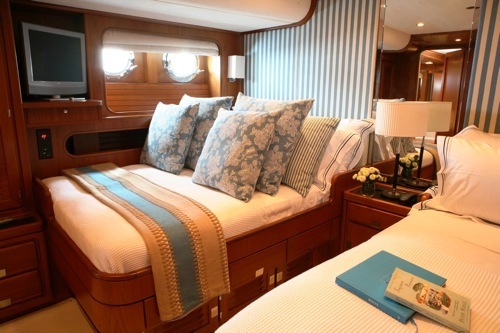 She features a master stateroom which has a queen size bed, a writing desk and a settee. 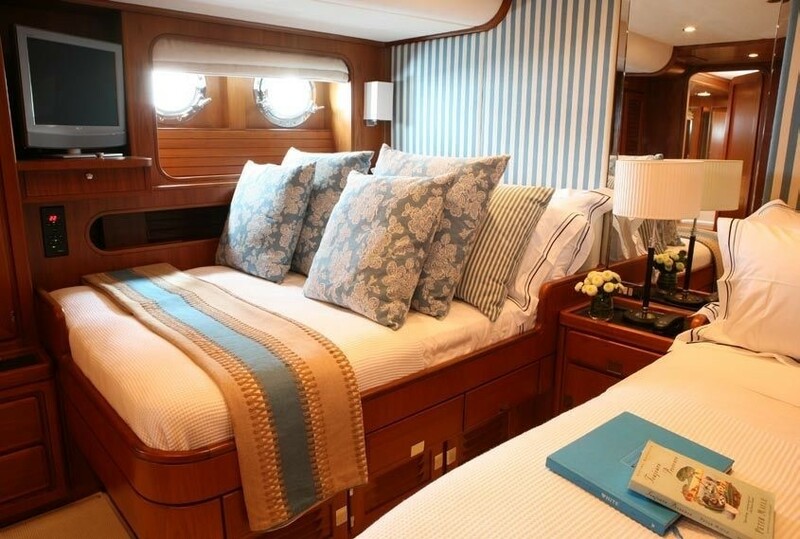 She offers a further two double guest cabins, one with and extra Pullman berth and one with and extra single bed and a Pullman berth. 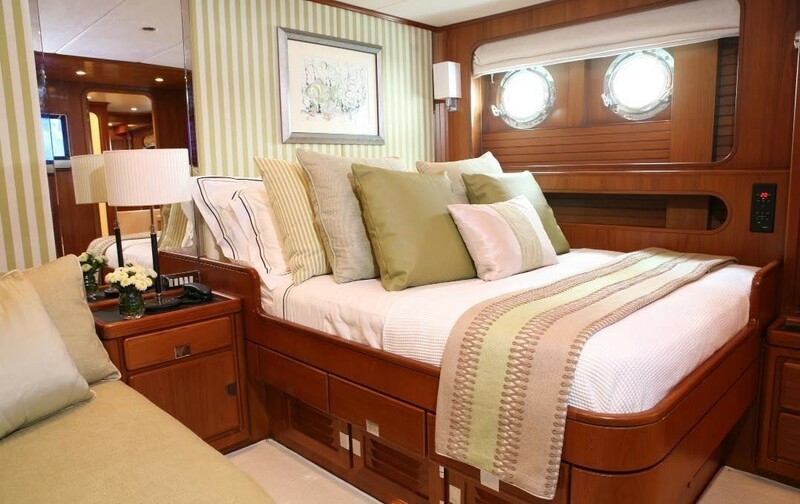 Each of the staterooms has its own en suite with a shower and a LCD TV/DVD/Stereo system. 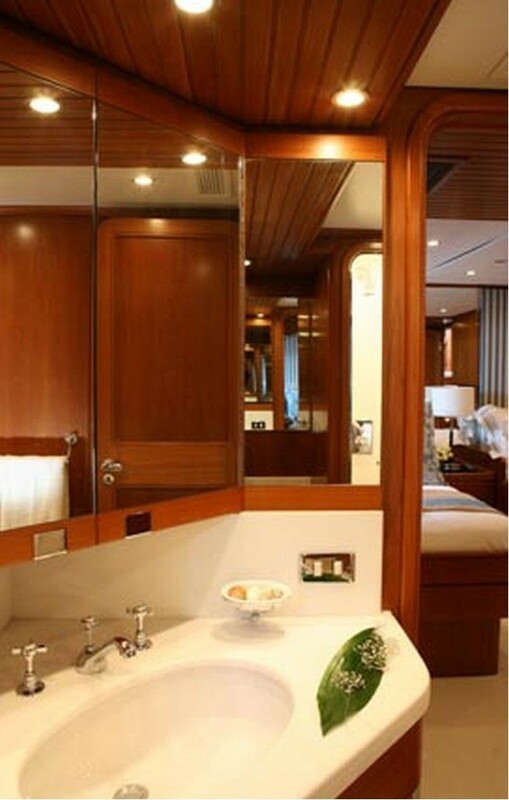 The VIP cabin has an X-Box. 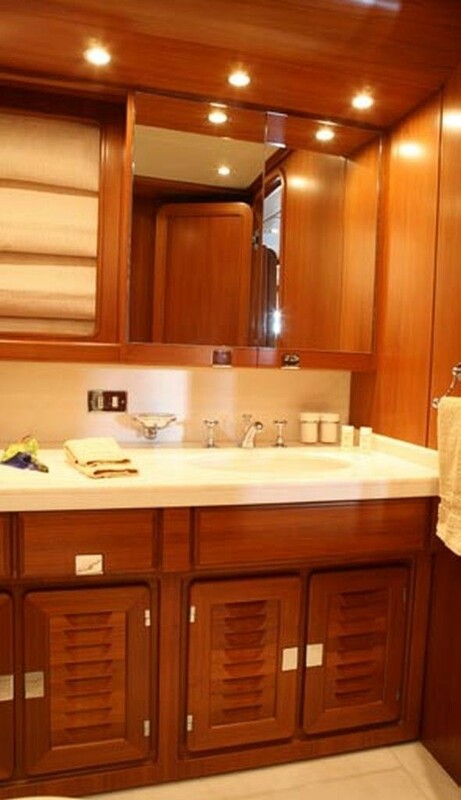 The cabins have Air-Conditioning with individual remote control and there are 3 safe boxes. 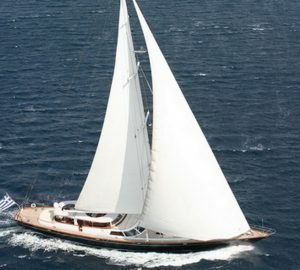 Sailing yacht Gitana’s charter extra toys and entertainment includes: A 4.6m inboard Castoldi jet tender (with, a set of water skis, various towable toys like a banana and tube, scuba gear, snorkelling equipment and fishing equipment), a DVD player, a home theatre system (with large 60” Plasma screen in saloon), a TV plasma 42’’ with home theatre system in AFT Salon, a LCD TV/DVD/Stereo system in all cabins, and a X-Box in VIP cabin.